The economic crisis has claimed another victim: the proposed Louis Vuitton store in Japan. Plans to open an LV store in Japan's famous Ginza shopping district are now on hold. The store was slated to be the biggest Louis Vuitton store in the world, with 12 floors spanning 12, 000 square meters. Japan is considered the French fashion label's most lucrative market, with one third of young women in the country owning a Louis Vuitton bag or item of clothing. But due to the credit crunch, most people are curbing the purchase of such luxury goods. The decision to stall the store's opening is thought to be the latest indicator Japan is heading for its worst recession since the Second World War. 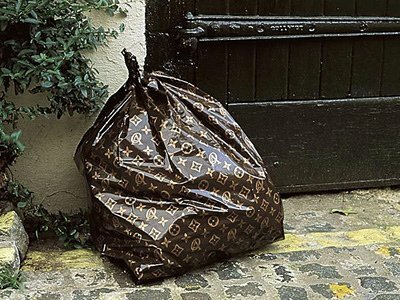 You know that times are tough when Louis Vuitton's staunchest supporters can no longer afford their glamorous goods! Hopefully once the global economy turns around the store will go ahead as big and beautiful as planned!